Each character has 6 stable slots by default. 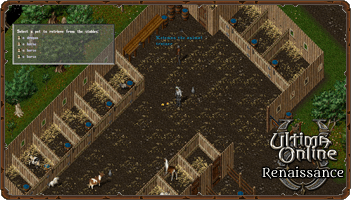 Based on your skills in animal taming, animal lore and veterinary you can have up to 20 stable slots. Pets currently do not decay when stabled even if you do not refresh them. Patch 53 Update: Each bonded pet slot you earn from the zookeepers quest expands your stable slots by one as well.